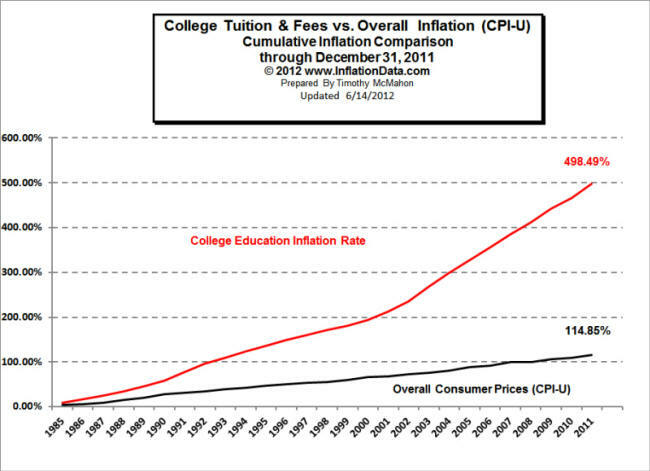 For most students and their parents, cost is the major obstacle to obtaining post-secondary education. The graph above links to an article that offers good suggestions about how to make getting a university degree more affordable. Some of the content is only relevant in the U.S. but most of it is also appropriate for Canadian readers. For a deeper look into the controversy about why university tuition fees are so high, take a look at Where Higher Education Went Wrong. It’s a seven-page series of articles from diverse points of view, including one that distinguishes between education as consumption versus education as an investment.